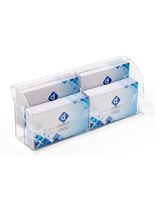 This 4 tier business card holder, also known as a plastic display, is ideal for sales offices and in busy trade show booths. 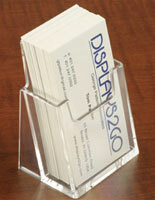 This card display is perfect when you have multiple business cards to dispense. 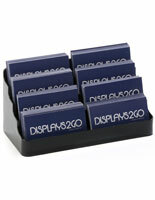 This business card holder helps keep your counter space organized while neatly displaying your business cards. 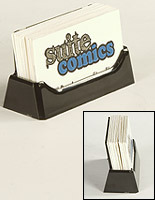 A plastic display, such as this business card holder, features a tiered design with four pockets. 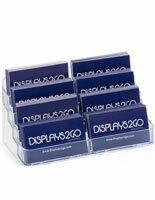 The card holder features rounded corners to help give this economy display a stylish appearance. 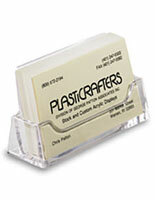 This plastic display, the BCC4TDFL card display, is constructed from inexpensive molded plastic. This molded plastic display is injection molded rather than hand fabricated (like many of our upscale acrylic displays). The plastic used is polystyrene and has a slight bluish tint when compared to clear acrylic. 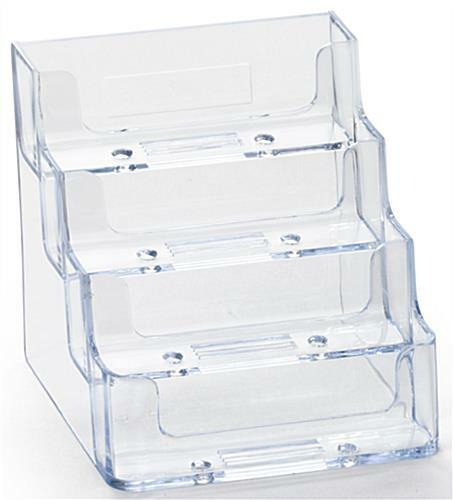 The molded plastic used to fabricate this 4 tier card holder, while not optically clear, is totally functional and enables us to offer a very low price-point. 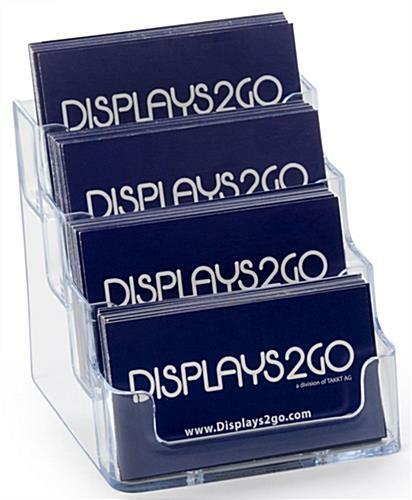 6.5" x 3.8" x 4.8"
We love Displays2Go products! We are consistently happy with the ordering process and the products are of the highest quality. 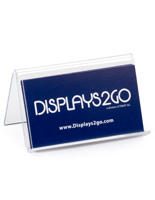 Displays2Go tends to have more types of frames and acrylics than any other vendor we've used, so to make it easier on us, we always start with Displays2Go! Well made, and perfect for its purpose.